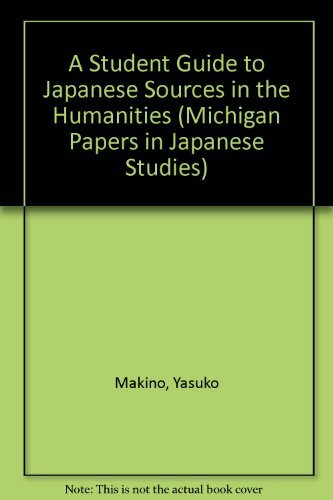 This work will be an invaluable reference tool for all students and scholars of Japanese studies. It is directed at students who are about to start library research for papers, theses, and dissertations. It walks readers through the process of researching topics and familiarizes them with Japanese reference works of all kinds, from general bibliographies and dictionaries to publisher's catalogs and chronologies. Although targeted for beginning graduate students, A Student Guide will be of value to students at all levels of proficiency, from upper-level undergraduates to researchers at advanced stages. It will also be useful as a textbook for those who teach courses in Japanese bibliography.